Childhood mortality is high in developing countries where malnutrition, infectious diseases, and unsanitary conditions are widespread. International organizations have worked to improve maternal and childhood health conditions around the world, and have helped to reduce the number of childhood deaths from 17 million annually in the 1980s to 10 million annually in the 2000s. Without diagnosis and treatment, about 35% of HIV-infected pregnant women will transmit HIV to their infants. As a result, approximately 1,000 HIV-infected children are born every day. Birth defects are among the leading global causes of infant and child mortality, with an estimated 4.9 million birth defect pregnancies worldwide each year. The majority of these occur in low- and middle- income countries. The World Health Organization has estimated that about 1.5 million children under age 5 years continue to die annually from diseases that are preventable via the administration of vaccines, making up approximately 20% of overall childhood mortality. Spreading technology, health information, and nutrition and medication may held reduce rates of infant and child mortality in developing countries. dengue: An acute febrile disease of the tropics caused by a flavivirus, transmitted by mosquitoes, and characterized by high fever, rash, headache, and severe muscle and joint pain. birth defect: Any of several medical disorders that are present at birth. Diarrheal Diseases: The condition of having three or more loose or liquid bowel movements per day, which is a common cause of death in developing countries and the second most common cause of infant deaths worldwide. In the 1980’s, the United States increased funding for maternal and childhood health programs. At that time, it was estimated that 17 million children under the age of 5 died every year. By 2006, largely due to the efforts of many international aid organizations, the annual number of deaths of children under the age of 5 was 10 million. Even with the great advances in childhood health that have occurred in recent decades, many health problems still afflict infant and child populations. Without diagnosis and treatment, about 35% of HIV-infected pregnant women will transmit HIV to their infants. As a result, approximately 1,000 HIV-infected children are born every day, accounting for about 370,000 new pediatric infections annually, 85% of which are in 25 sub-Saharan African countries. Without antiretroviral drugs, half of these children die by age 2. Of the estimated 2.3 million children worldwide with HIV, 1.27 million are estimated to need treatment and only 356,000 (28%) receive it. Birth defects are among the leading global causes of infant and child mortality, with an estimated 4.9 million birth defect pregnancies worldwide each year. The majority of these occur in low and middle income countries. Birth defect trends and risk factors are difficult to monitor because many countries do not have systems that can accurately track the prevalence of birth defects. International organizations have been working to expand monitoring systems and improve laboratory capacity. In the United States, the Centers for Disease Control and Prevention researches and tracks birth defects and coordinates the surveillance and research activities of about 40 member programs of the International Clearing House for Birth Defects Surveillance and Research. In Asia, dengue fever, an infectious tropical disease, is a major cause of child mortality. Global research teams have been working to improve methods for diagnosing and treating dengue. A 2011 CDC report found that the incidence of dengue has increased worldwide in recent decades, but little is known about its incidence in Africa. Diarrheal diseases cause an estimated 1.4 million deaths per year in children under 5 years old. In developing countries, diarrheal diseases are also a leading cause of death from infections among persons with HIV. Lack of access to water and sanitation and poor hygiene are responsible for most of these deaths. 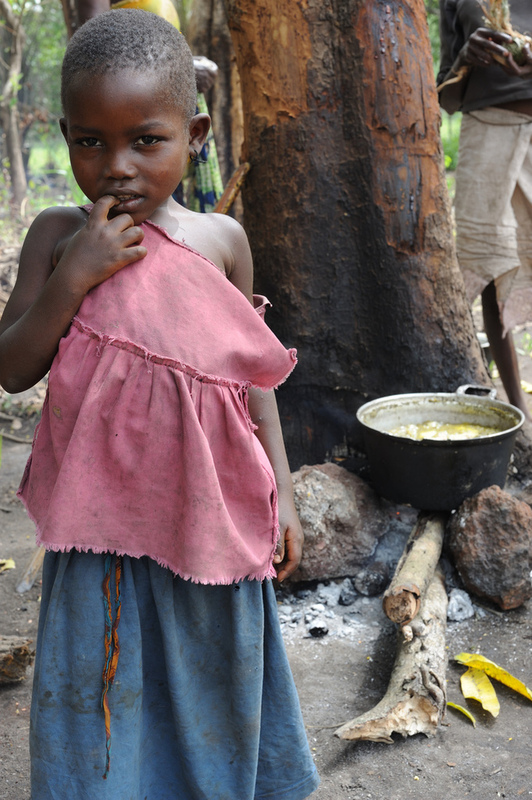 Poor nutrition is also an important factor in diarrheal disease risk. The World Health Organization has estimated that about 1.5 million children under age 5 years continue to die annually from diseases that are preventable via the administration of vaccines, making up approximately 20% of overall childhood mortality. Vaccines can prevent pneumonia and diarrhea, the two leading causes of death among children under age 5. Other immunizations that can improve maternal and child health are tetanus immunization of pregnant women and polio immunization. Moreover, an estimated 4 million newborns die in the first four weeks of life, accounting for 40% of all deaths among children under the age of 5. Improved pre- and post-natal care, as well as more accessible information about infant health, could help reduce the infant mortality rate. Child Hunger and Infection: Hunger is one of the basic needs of a human, or on the ERG, a need of existence. Infant mortality rates are reduced by increasing availability of safe emergency pregnancy care and training doctors and nurses to promote safe breast feeding for HIV infected women and other support and guidance related to pregnancy, delivery, and postpartum periods. Globally, untreated maternal syphilis still causes more than 650,000 adverse pregnancy outcomes, including about 350,000 pre-birth deaths, each year. The overwhelming majority of these are in countries with limited laboratory capacity for syphilis testing as part of basic pregnancy care. Congenital syphilis, passed from mother to child, can be eliminated through universal screening of pregnant women early in pregnancy, and prompt treatment with at least one injection of penicillin. International organizations are working to make these interventions available. 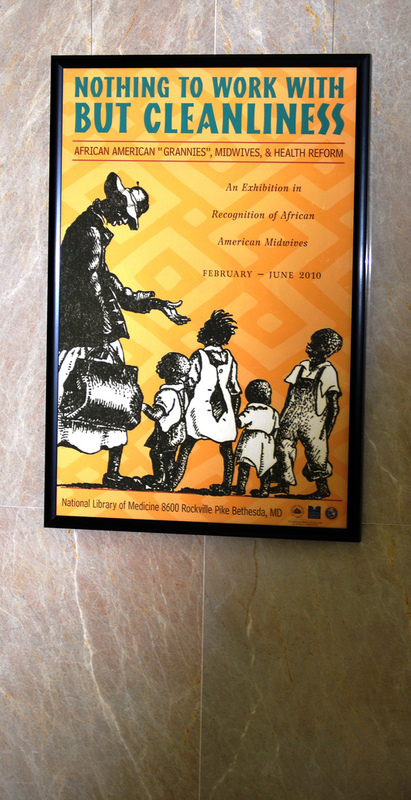 African American Midwives and Infant Mortality: This poster from a museum exhibit illustrates how in impoverished communities without access to technologically advanced medical facilities, the first intervention used to reduce rates of infant mortality is often improving sanitation or hygienic standards.